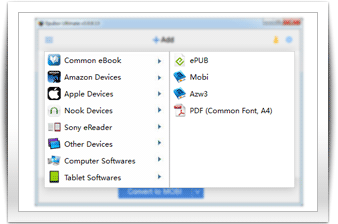 Epub Converter can easily convert your eBooks to EPUB, PDF, MOBI and many other output formats. It also support directly converting to the format that suits to Kindle and Adobe. It could be the most powerful eBooks converter you have ever used. Note: Epub Converter is a totally free eBook tool integrated the functions of eBook converter and eBook DRM killer. Support eBooks from: Amazon Kindle & Adobe. Input formats: EPUB, MOBI, PDF, AZW. Output formats: EPUB, MOBI, PDF, AZW, TXT, KFX. 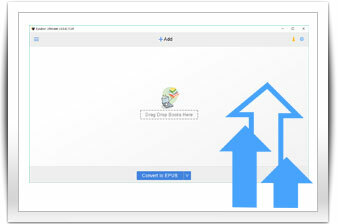 Epub Converter retains the original quality of all eBooks, providing the excellent reading experience. You can get all metadatas automatically after conversion. Epub Converter is an easy-to-use yet powerful eBooks converter. 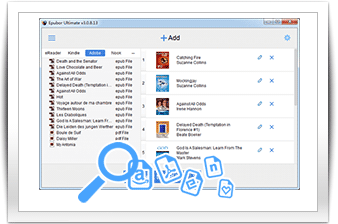 With it's intuitive interface, you can easily get ebooks in format you want. 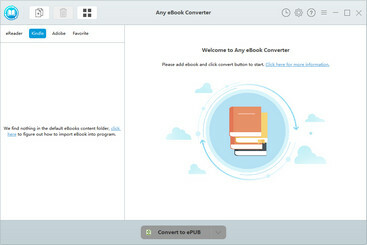 Once you connect eReader device to computer, Epub Converter will automatically scan it. 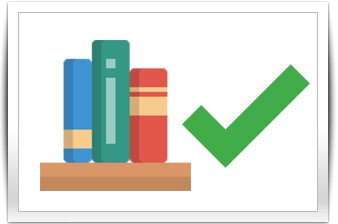 Just a few seconds, all your eBooks will be listed on the left. Then you just need to drag the eBooks files into the main interface, and select the output format before start the conversion. After that, you can freely enjoy the eBooks converted. In order to provide users with incomparably stable, fast and high quality conversion, we will keep it up to date with the latest version of Windows OS. Moreover, any problem you meet while using our program, feel free to contact our technical support, they will always be here to help you. And it's totally free.